Congratulations! You’ve said, “Yes!” and now the journey to your wedding day begins! I know that beginning the planning can be daunting, but as your wedding planner I want to make the experience as fun and stress-free as possible. Often the first step in the planning process is determining your ideal wedding venue. 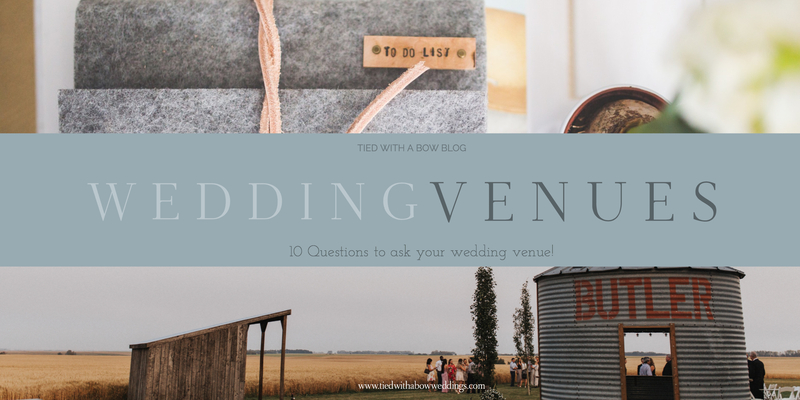 Today, I want to talk about 10 considerations to make when deciding on the location for your big day! At the end of the post I will tell you how I can help you make that big decision. Consider where in the state you wish to get married. Whether you are looking for a mountain getaway, urban night on the town or barn romance, Colorado has so many amazing venues that match any vision you may have. Have out of town guests? Get an idea of how far your venue is from the airport and whether easy transportation is available. 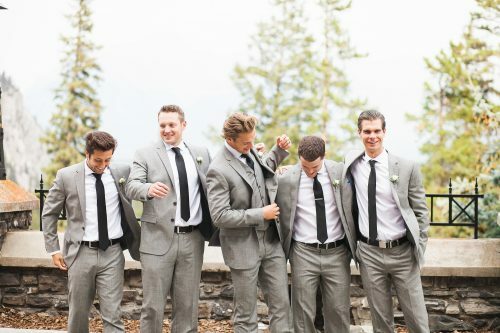 It is a good idea to determine what style of wedding photos you want. Then, determine whether you can achieve the look at the venue of your choice, or if you would need to leave the venue for pictures. If you need to leave after the ceremony for photos, make sure you have plenty of time between your ceremony and reception! Does your dream venue have accommodation options for you and your guests? If yes, make sure you receive a hotel block code for guests wishing to stay the night! If not, reach out to hotels in the area for group booking rates! Also, ask about a comp’d room policy. Some venues will provide a free room with a certain amount bookings. Psst! Make sure your chosen hotel knows the bride and groom are staying in the hotel. If you’re lucky, they will pamper you with room upgrades and complimentary treats! Discuss transportation options for your guests getting to and from the venue. Will taxi’s be available for your guests at the end of the night? Or is it a good idea to plan on a bus to bring your guests to their accommodations? Either way, you don’t want your guests who had too good of a time to have no options of getting home, or to their hotel! Get an understanding from your venue on their beverage rules. Some venues will let couples bring in their own alcohol, allowing you to keep any unused beverages at the end of the night. If not, find out if there is a minimum alcohol-spending amount, corkage fee, types of alcohol served, and bar options (i.e. open bar, consumption bar, cash, etc.) Regardless of whether you are brining your own drinks, it is also a good idea to get an understanding of the bartender fee and the number of bartenders provided. Venues really differ when it comes to food options for your wedding. Some venues will allow you to bring in independent caterers, some have in-house catering and some will have selected caterers that you must use. Get an idea of the ratio of wait staff to guests and whether or not gratuity is added to your final bill. It is also important to understand the type of food service offered and select the best for your day (i.e. buffet, plated, family style, etc.). This little sweetness was given its very own category. Be sure to ask your venue if they have any regulations concerning the cake. For instance, some venues require cakes to be made in commercial kitchens and your made-at-home cake may not fit into their guidelines. Next, determine the venue’s cake cutting fee. 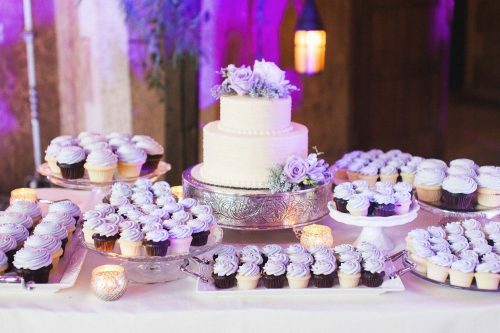 Sometimes it’s a great idea to have a dessert bar or cupcakes served to your guests instead of paying this fee! When its time for guests to hear your vows, or dance the night away, you are going to need some audio! Find out if there are in-house audio services provided, or if you have to turn to an outside vendor. 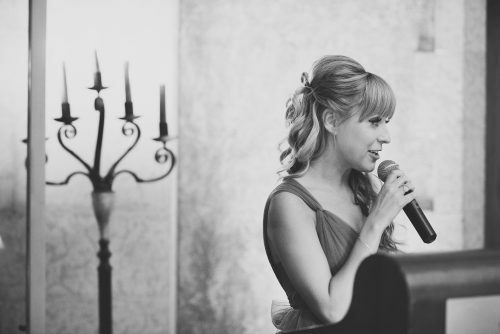 Also determine if there is a microphone and podium available for reception speeches. Finally, if you are planning on a slideshow, inquire about projectors and screens available on site. 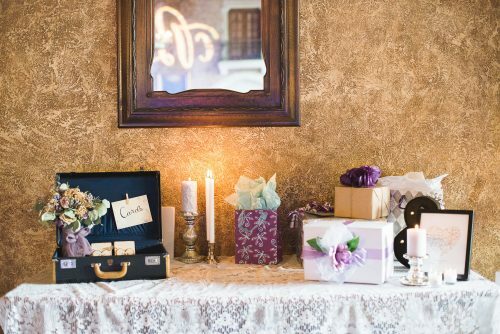 It is important to know when you will be given access to your ceremony and reception rooms! Some venues will book multiple weddings/events on the same day, which could limit your setup time. If this is the case, it is a great idea to consider a day-of coordinator who can bring a team of wedding elves to set up your room quickly and efficiently. Similarly, identify the venues takedown policies and determine if there is storage rooms available to avoid late-night pick up fees! If you are planning on having a wedding in a venue that is open to the public, consider what security measures are being taken. When your guests are leaving their coats at tables, and gifts are all lined up, you want to be sure strangers don’t have access to take what isn’t theirs! Ask if the section of the venue is closed off to the public, or if the venue offers personnel to keep your room safe and secure. Want to avoid the stress of finding your Colorado wedding venue? Let me help! With our Venue Selection service, you can consider us your personal venue real estate agent! Whether you are looking for classic estate, unique lofts, or dreamy hotels, we seamlessly marry your vision with the perfect backdrop. We will conduct detailed site inspections and once you choose your perfect location, manage venue acquisitions and contract negotiations while you plan the remaining details of your day. Check out this, as well as my other a la carte services here! Or, send me a note and we can get your planning started!